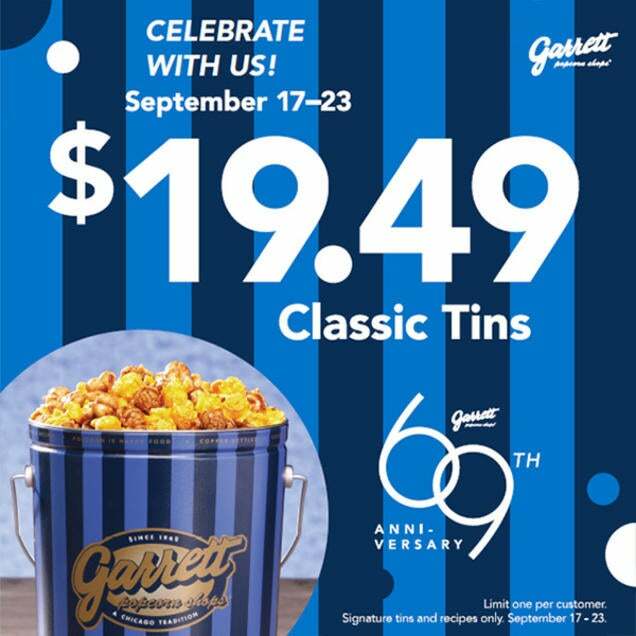 Celebrate our 69th Anniversary with us with $19.49 Classic Tins from Monday, September 17 - Sunday, September 23. *Limit one per customer. Signature tins and recipes only.